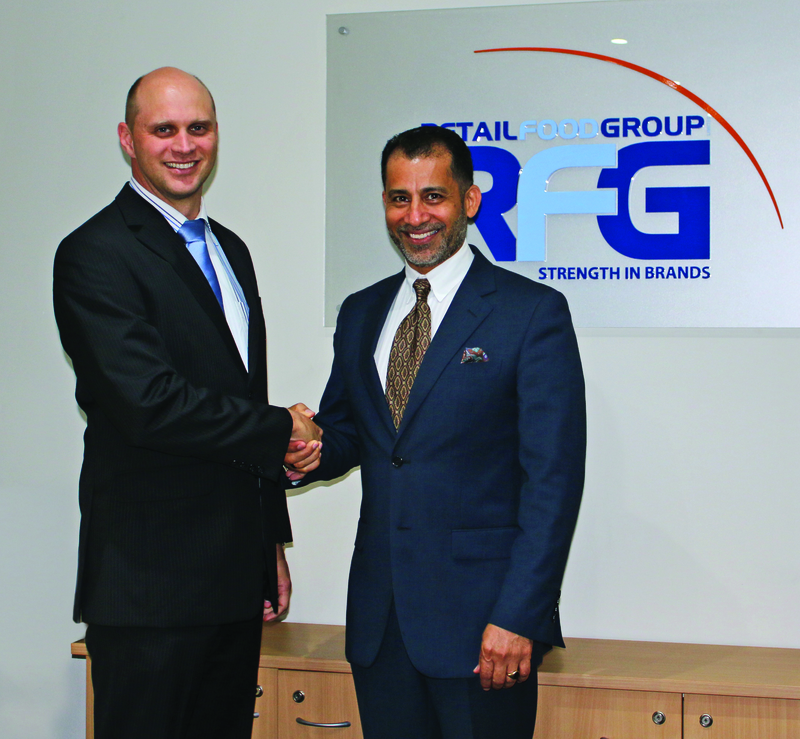 Gold Coast, Australia - August 29, 2018 - Franchise Arabia has partnered with Retail Food Group (RFG) to support its growth across the Middle East North Africa (MENA) region & India. RFG is a global food and beverage company, multi-brand retail food franchise owner and a roaster and supplier of high quality coffee products. Listed on the Australian Securities Exchange (ASX) since 2006, the Company has over 2400 outlets in over 80 licensed territories globally. RFG has nine leading brands in its portfolio including Gloria Jean’s Coffees, which has over 200 outlets across MENA. The Company is focusing on expanding Crust Gourmet Pizza, Gloria Jean’s Coffees, Donut King, Michel’s Patisserie, Brumby’s Bakery, It’s A Grind and Cafe2U brand systems throughout the region. Each of the brands are established in their home market with a unique competitive positioning. According to Omar Alhaza’a, Founder & CEO of Franchise Arabia, “We’re excited about this partnership with a world-class powerhouse such as RFG and are looking forward to introducing the RFG brands to investors and consumers across the region. The MENA region is experiencing growth across a range of related industries including; franchising, restaurants, F&B and hospitality. We believe that RFG is well positioned to leverage its global capabilities across the MENA region by working closely with Franchise Arabia to build a strong foundation for growth”. Franchise Arabia’s Australian Ambassador, Gidon Rosing (also Founder of Global Franchise Partners) says, “Australia has a great name in the MENA region and being able to bring across the RFG brands into this exciting, yet competitive region presents great opportunities. As the voice of Franchising in MENA, Franchise Arabia can see excellent potential for RFG brands across multiple categories (coffee, pizza and treats) and is planning a range of activities to build RFG presence in the region as well as its proven brands”, said Mr. Rosing. RFG already has over 200 outlets in the MENA region through its successful Gloria Jean’s Coffee Brand and the ‘It’s a Grind’ brand. RFG is a global food and beverage company, multi-brand retail food franchise owner, a roaster and supplier of high quality coffee products, and an emerging leader in the foodservice, dairy processing and wholesale bakery sectors. To find out more about RFG.